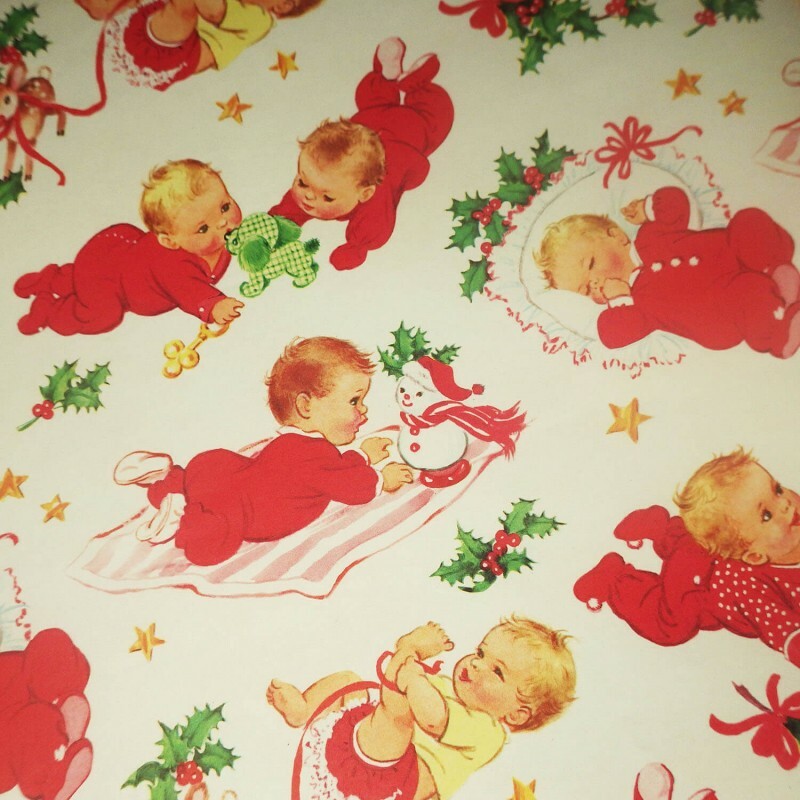 A vintage Norcross Christmas Babies gift wrap wrapping paper sheet in colors of red, white, and green, depicting precious babies all dressed in red at various adorable modes. 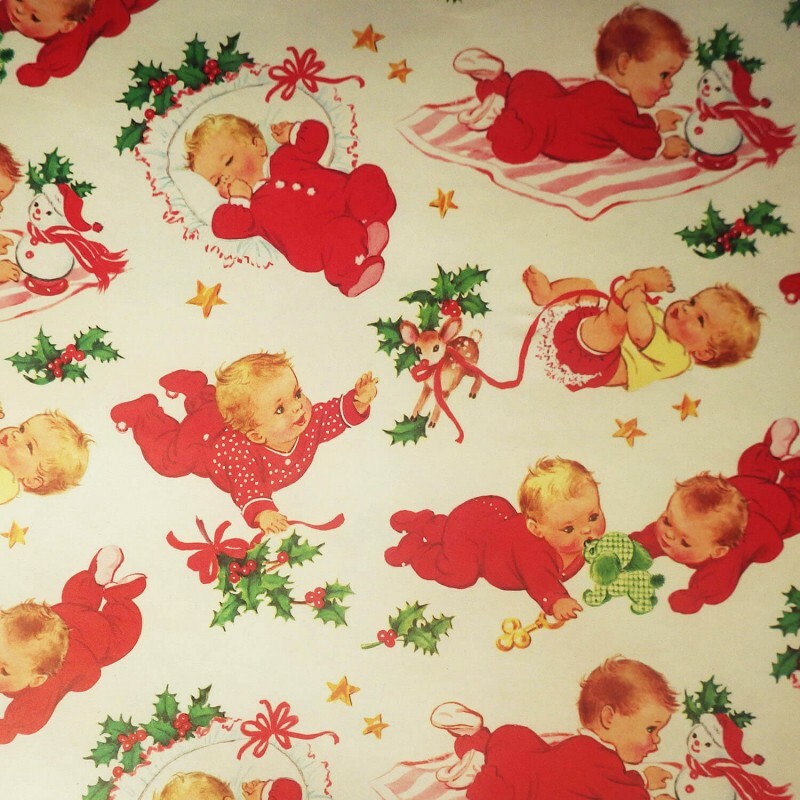 There is a sleeping baby; a bright-eyed child with a bough of holly in its hand; an infant entertained by the ribbon on his leg, the other end tied to a young baby fawn wearing Christmas holly; a pair of infants studying a green gingham stuffed dog, one with a rattle in its hand; and another young lad, on his belly appearing to talk to a stuffed snowman. 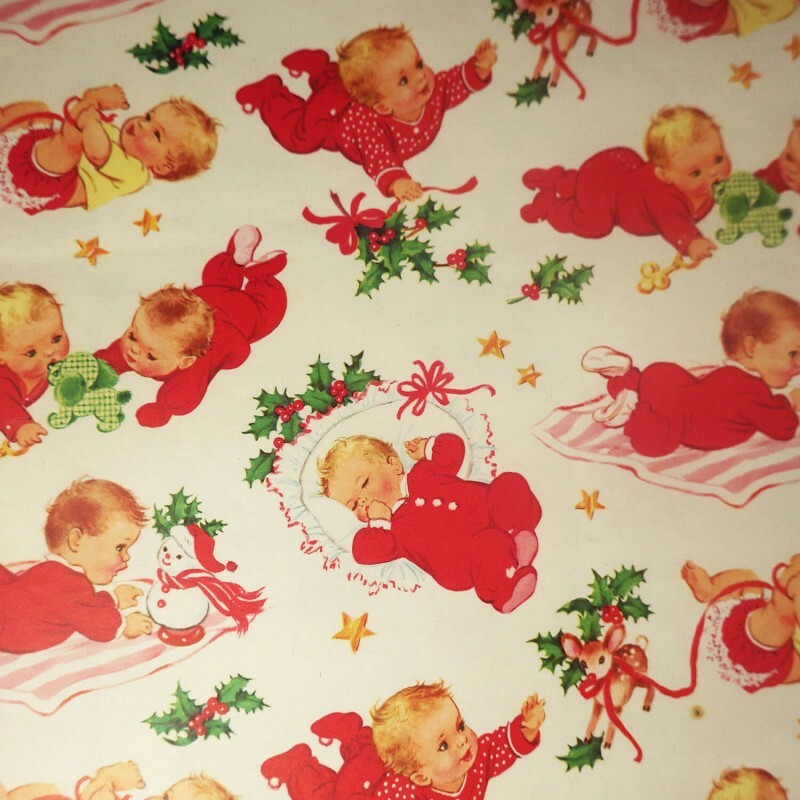 This is a delightful find with oh so many fabulous uses, from wrapping a gift to scrapbooking. 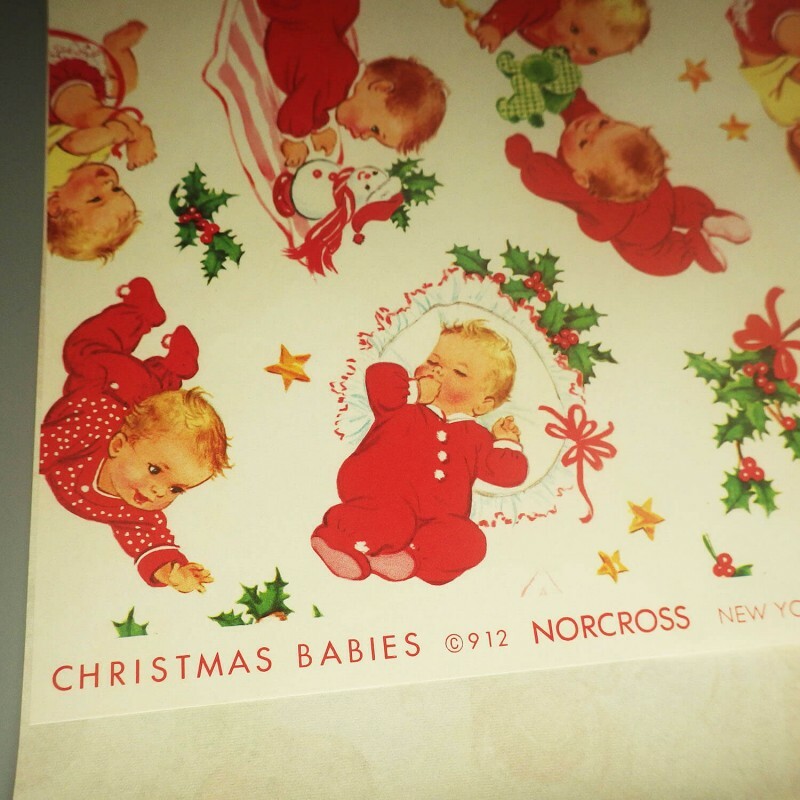 In fabulous condition, with no tears to what remains of the original sheet. 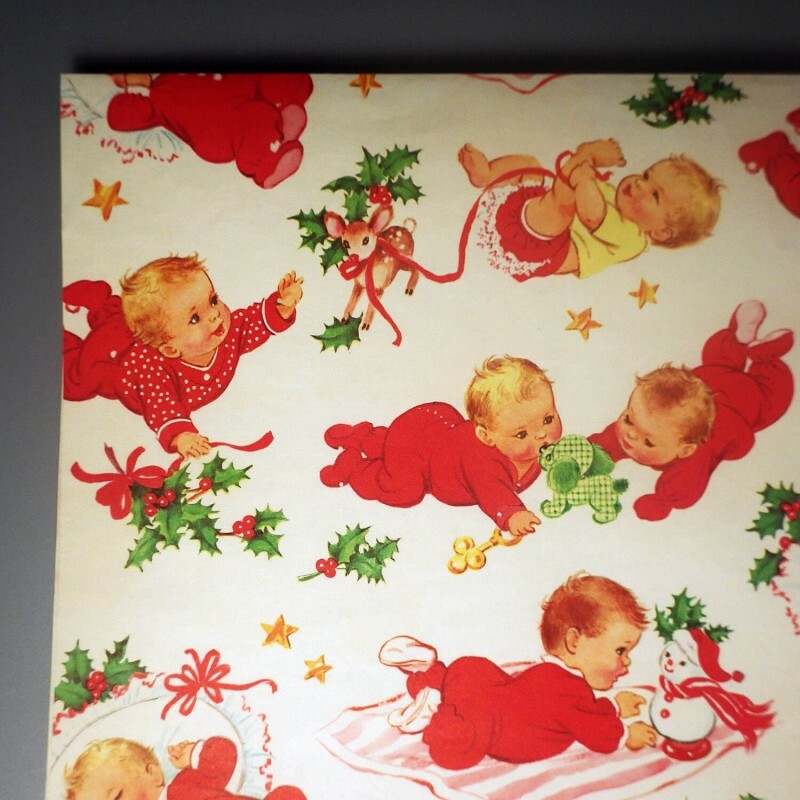 Sheet originally measured 41-1/2 inch x 28-7/8 inch; what remains measures approx. 23 inch x 28-7/8 inch. 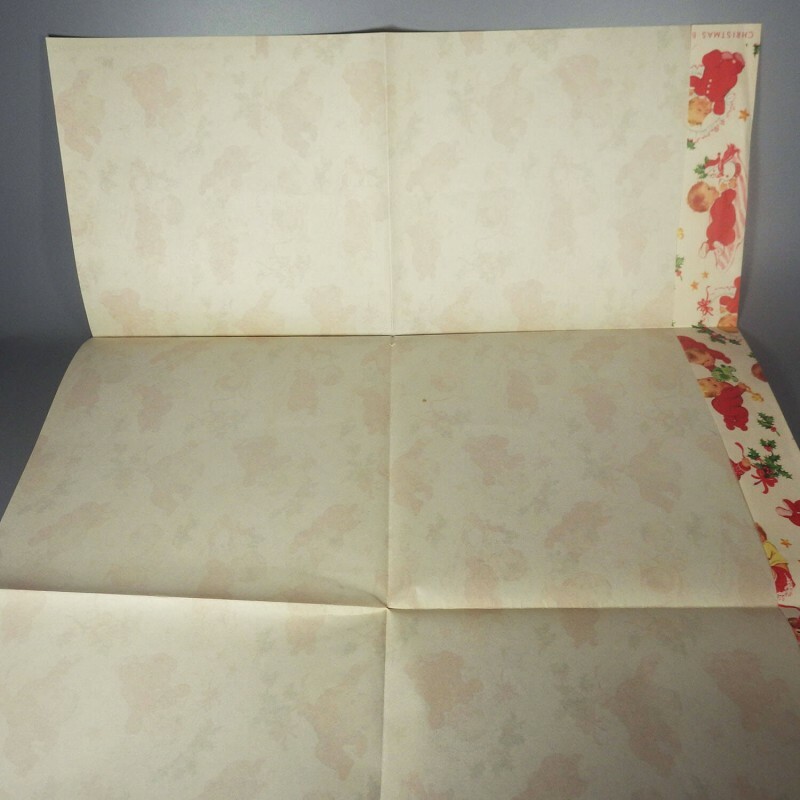 Given the various other vintage paper products this was stored and acquired with, believed to date to the 1960s. 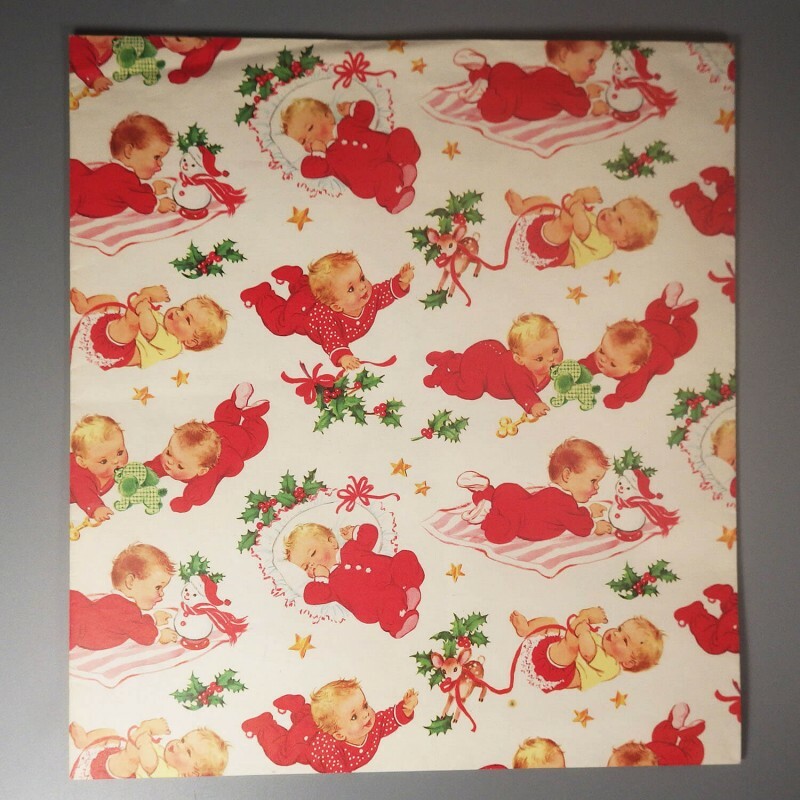 Did she say other vintage paper products? Why yes! Why not check them out, below.